Ground tank with high area of effect damage spells, especially versus ground. Very strong teamfight presence and initiation. The tank works best with mid- or longrange and an ‘Orbital Control’ for additional burst damage. 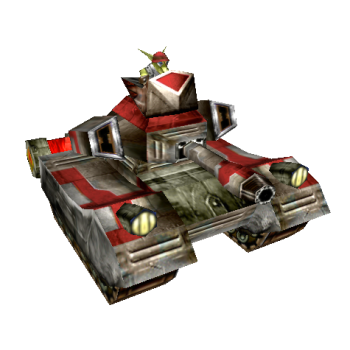 The tanks passive ‘Bounty Hunter’ and ‘Hero-Sniper’ make it excellent in fighting opponent tanks with decreased the farming potential. Fires an explosive shell at the target area within range. Deals the more damage the farther away the target is and 25 % damage at minimum range. A corrosive cloud that damages enemy ground units by 3% of their max. HP per second and slows them by 45%. The Hunter gets more gold for killing enemy tanks. Fires a grenade at the target area which damages every enemy tank and draws every tank into its center.